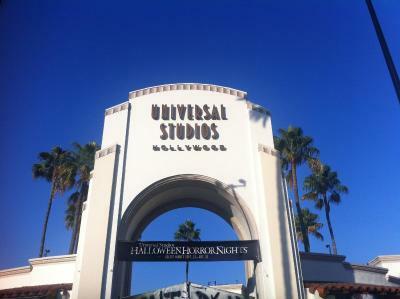 The location was good for Universal Studios as the train was only 1 block away and it was only 5 stops to get there. The staff were very nice and accommodating to any issues I had. I also liked there was a Rite Aid within walking distance so getting snacks was not a problem. We slept well. Room was as clean as it could be. I think the cleaning staff tried their best. The rooms were very clean and beds were cimfortable. 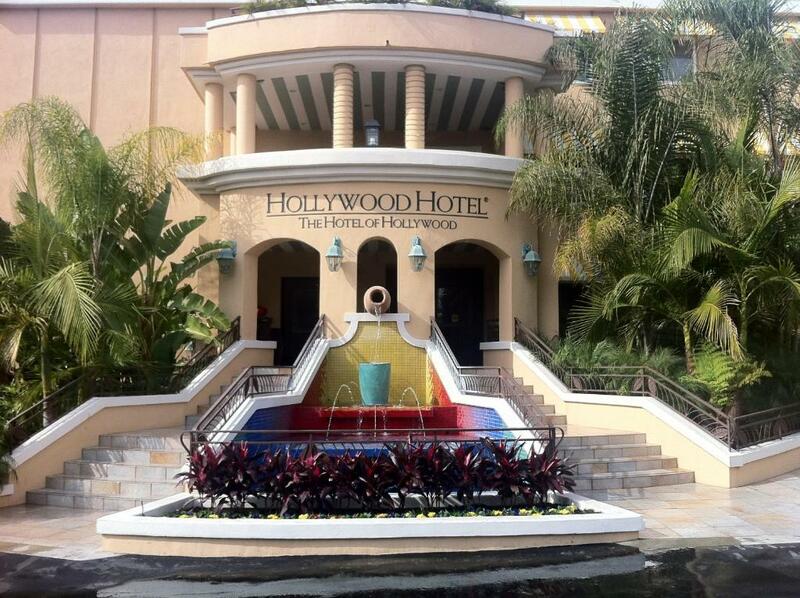 Hollywood Hotel - The Hotel of Hollywood Near Universal Studios is a lovely hotel reminiscent of Old Hollywood. It was my second time staying there and I would gladly stay there again. The staff is friendly and helpful, starting with Ali, who was working at the reception desk when I checked in. The hotel offers a wonderful breakfast, including an omelet and waffle station. There is a beautiful courtyard. I did not see the pool, but I believe there is one. Rooms are spacious, clean, and pretty. The hotel is well cared-for. The rooms are generally quiet. It is a good value for the money in this very expensive city! We had ants (on the second floor); the bathroom had many broken tiles, towel rack falling down, shower head good for a person less than 5' tall; the bed was horribly hard and uncomfortable; housekeeping did not restock properly each day; the grounds were well kept but the building is desperately in need of repair/remodel; not a great area-not unsafe just not attractive or as convenient to walk to many attractions (although the train stop is only 2 blocks down); most of the staff was friendly and helpful and the complimentary breakfast was actually not bad. Gisele and Ali, as well as everyone here was great. The hotel is located close to everything. The property is very nice and the breakfast buffet was very good with lots of options. The front of the hotel is beautiful, and the swimming pool is awesome. Brian- the gentleman that checked me in was wonderful! He was kind and helpful. He upgraded my room when he found out we had come from out of town for my moms emergency heart surgery at kaiser on Sunset! Our room was gorgeous! The bed was the biggest bed I’d ever seen! Bigger then a cal king! Thank you so much for making a really bad moment in our lives comfortable. 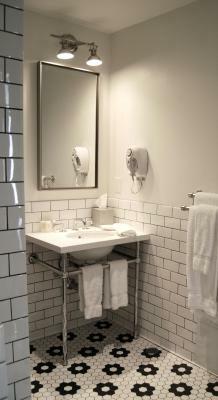 This property exceeded all my expectations -location, room size, cleanliness, amenities, breakfast, staff, everything. I recommend this hotel to everyone. Great staff and free WiFi. Nicole and Angelica helped me out and made me feel very comfortable. Having the full breakfast with omelet and waffle stations included in the stay was delightful. 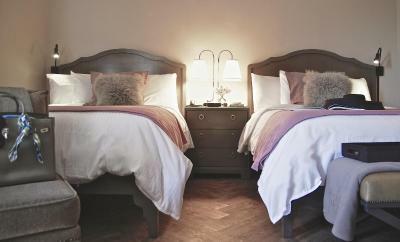 The staff was exceptional hospitable and the room was very clean and comfortable. Hollywood Hotel - The Hotel of Hollywood Near Universal Studios This rating is a reflection of how the property compares to the industry standard when it comes to price, facilities and services available. It's based on a self-evaluation by the property. Use this rating to help choose your stay! One of our top picks in Los Angeles.Located in Hollywood, California, this hotel features an outdoor pool and 3 indoor saunas. It is 1 block from the Vermont/Santa Monica Subway Station. All rooms include free WiFi. Every guest room at the Hollywood Hotel – The Hotel of Hollywood Near Universal Studios is furnished with a refrigerator and microwave. Rooms also provide coffee making facilities. 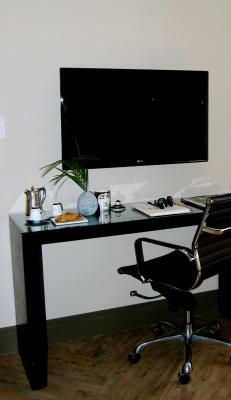 Hollywood Hotel offers tour services and a business center. Guests can relax in the outdoor courtyard as well. 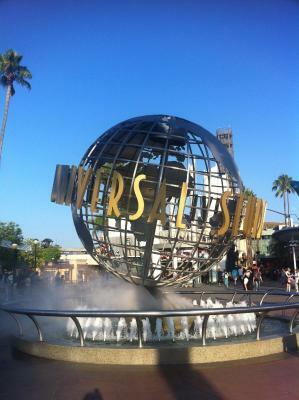 Universal Studios and downtown Hollywood can be easily reached from the nearby subway station. The Hotel of Hollywood is 6 miles from the Los Angeles Convention Center and 4 miles from Dodgers Stadium, home to the Los Angeles Dodgers baseball team. 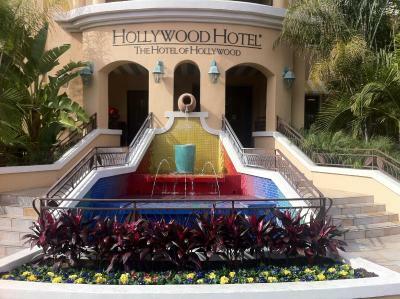 When would you like to stay at Hollywood Hotel - The Hotel of Hollywood Near Universal Studios? Rates are based on 2 guests. Maximum occupancy is 2 guests (See Hotel Policies). No children are allowed in this room type. Private parking is available on site (reservation is not needed) and costs USD 26.40 per day. Also known as Starlet Double Queen. Please note that the price is based on 2 guests. Maximum occupancy is 4 (see Hotel Policies). Also known as Luminary Double Queen (ADA). Please note that the rate is based on 2 guests. Maximum occupancy is 4 (see Hotel Policies). 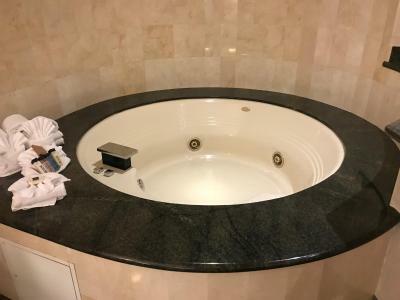 Also known as Silver Screen Jacuzzi Suite. Rates are based on 2 guests. Maximum occupancy is 4 guests (See Hotel Policies). Also known as Silver Screen Junior Suite. Rates are based on 2 guests. Maximum occupancy is 4 guests (See Hotel Policies). Also known as Luminary King. Rates are based on 2 guests. Maximum occupancy is 4 guests (See Hotel Policies). Also known as Luminary Queen. Also known as Luminary Double Queen. The original Hollywood Hotel was established in 1903 on Hollywood Boulevard, owned by H.J. Whitley, the tycoon credited with establishing Hollywood. It was known as “the” Hollywood hotel as the city began to grow with the advent of the silent film era. Rudolph Valentino, who lived in room 264; met and married his first wife, Jean Acker, there, and spent their honeymoon in his room. In 1964 Hollywood Hotel, was reestablished on Vermont Avenue and since then has become an icon in its own right. International athletes and dignitaries have stayed, to American celebrities such as Kristen Wiig, Drew Barrymore, Aidan Quinn, Jessica Biel, to John Krasinski and BJ Novak and Jason Rittter, all of whom have attended or performed at the hotel’s comedy club open mic nights. The 130-room Hollywood Hotel is “where all the action begins in Hollywood.” Located in the center of the entertainment capital, the vibe of this intimate hotel is a comfortable, cosmopolitan meets vintage Hollywood glamour and steps away from shopping, world-class dining and cutting edge culture. 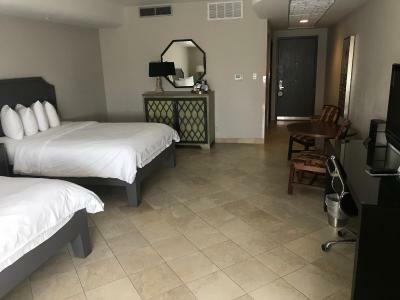 Hollywood Hotel is one of the most reasonably priced hotels in the city and offers incredible value in a central location. House Rules Hollywood Hotel - The Hotel of Hollywood Near Universal Studios takes special requests – add in the next step! 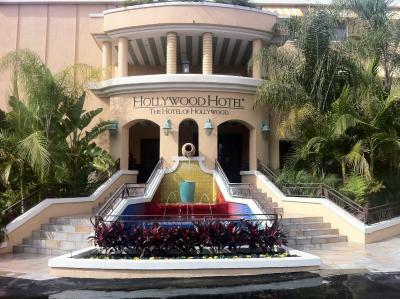 Hollywood Hotel - The Hotel of Hollywood Near Universal Studios accepts these cards and reserves the right to temporarily hold an amount prior to arrival. -	Credit or debit cards are authorized upon booking and the card used to make the reservation is required upon check-in when a security deposit will be charged for incidentals. Deposits will be refunded upon check-out pending inspection of rooms. -	Upon check-in a valid government-photo ID (passport or driver’s license, for example) must match the name on the debit or credit card used to make the reservation. -	Parking fees are authorized upon booking and an additional fee may apply for oversize vehicles. I did not like the hotel itself. It was just ok and a slightly dated. The elevator was terribly slow and there were ants on my bathroom floor. 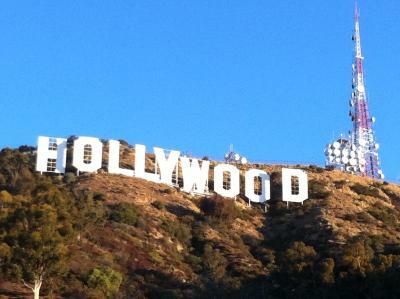 The location was good to get to Universal Studios but the neighborhood itself was sketchy and dirty. There were also tons of homeless people roaming the streets like zombies which can make you feel unsafe. The breakfast was good but a whole banana would be nice instead of cutting them in half. Who does that?? Anyway...I would not revisit this hotel overall. I would rather pay extra for something nicer. Breakfast - the options were quite poor and the chef was always grumpy when he was doing the omelette. The room was very spacious and clean, staff at the front desk very nice and helpful. Quality of the bedding feels like a motel bedding. Paying for parking as a hotel guest is a ripoff especially when there are plenty of parking and we stayed for 12 days. Lift was the slowest ever. Room decor needs updating. Bathroom shower head needs changing. WiFi was hit and miss. They might as well not call free as I was seldom able to access. Breakfast was very nice especially the omelette but various other items should be incorporated. Staff was nice and friendly. House keeping was done every day even on Sunday which is good. The staff were really helpful. The location was ideal - close to public transport. Several things did not work right; the mini fridge was warm, the pop/water machine was out of stock on our floor and other floors, the coin slots to those machines did not work, slow drain in shower, staff could not make change at front counter and told us to use store across the street. Also, repairs needed to be done in spots. The staff were unfriendly, the location of the hotel was not central to anything and the area was dodgy. The pictures of this hotel make it look a lot nicer than it is, overall it was disappointing. Needed so.e maintenance. Front desk staff wasn't very friendly.. Maid service was good as well as location. Although the hotel is close to Los Feliz, where I needed to be, the immediate area around the hotel is a little seedy. I felt OK waiting for an Uber outside but would not have wanted to walk too far (even in daylight). The hotel itself felt safe and pleasant, though. One very small concern (but if I needed to do work there, it might have been a bigger issue) was that the free wifi would not stay on for more than a few minutes at a time - then I was back to 3G. The building was badly in need of repair/upkeep. Located in a depressed primarily hispanic neighborhood not as close to everything as we had hoped.